I stopped watching Breaking Bad two years ago, but by reading the subtle signs of the cultural landscape, I managed to figure out with reasonable certainty that the song “Baby Blue” played a prominent part in the show’s finale tonight. And what a ballad it is. “Day After Day” usually gets credited as Badfinger’s signature tune, and with good reason. But I always secretly liked “Baby Blue” just as much, if not more. 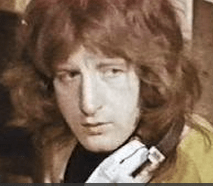 While most acts associated with early ’70s rock and roll were singing about snorting lines off of ceiling mirrors, loving the ladies, and then hopping in the tour bus and blowing out of town, Pete Ham wore his heart on his guitar strap and rendered the heartbreak of leaving into chart-topping lyrics. Not only did he write “Day After Day” and “Baby Blue,” but Ham also penned the verses to “Without You,” a song taken to number one by Harry Nilsson. Do you see a pattern there? Each one of them reads like a love-letter with Pete Ham confessing his regrets and sorrows to a woman he pines for but is no longer there; each time he implores her directly with “you”. From the outside looking in, being in Badfinger must have seemed like a pretty sweet gig. The band was basically groomed by the Beatles’ Apple Records label to be their heirs after the Beatles broke up, and Badfinger did achieve almost instantaneous global success after their first album release. But that level of initial success and heightened expectation can create pressure, and Badfinger didn’t help their cause by going into business with Stan Polley, a shady business manager who contributed to the band going broke (despite their many recent hits), the collapse of their musical career, and according to the note he left, Pete Ham’s suicide at the age of 27 in 1975. I don’t know the details of Pete Ham’s story as well as some people do. But from what I can tell, even when it was going good for Pete Ham it was still going bad. 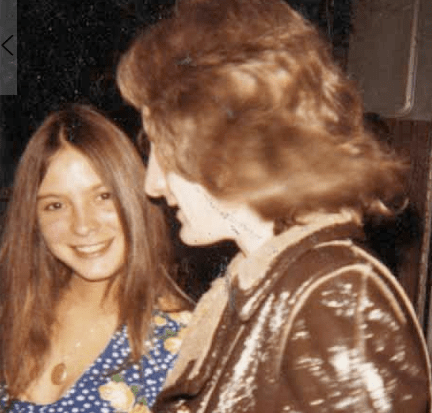 While Badfinger was touring the U.S. in 1971 at the height of their popularity and before the setbacks began, Ham met a girl from the South named Dixie Armstrong. Photo of “Baby Blue” with Pete Ham. I don’t know if I’m gonna wake up tomorrow after tonight’s Breaking Bad and find that “Baby Blue” is enjoying a popular resurgence as Journey’s “Don’t Stop Believin'” did after the Sopranos’ finale. But I’ll tell you one thing. While “Don’t Stop Believin'” is a fine rock anthem, its singer Steve Perry is said to be a bit of a douchebag, the polar opposite of someone sensitive and retreating like Pete Ham. 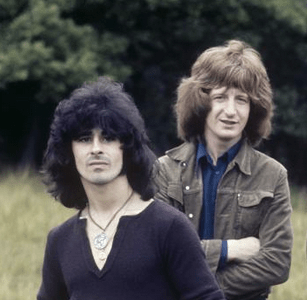 Speaking of sensitive artists and douchebags, after an argument over song royalties Pete Ham’s band mate and writing partner in Badfinger, Tom Evans, committed suicide in 1983 by hanging, the same method Ham used. Stan Polley went on to swindle other people before dying in 2009 at the age of 87. That isn’t a photo of Stan Polley, that’s Tom Evans. Thank you very much, Girl. I removed the photo. Agree on both counts, Patti. The more I learn about the music business the more I see how the more sensitive souls, who are often the best performers/writers, suffer from the business’s cut-throat nature. My Husband was great friends with Pete, after the Bangladeshi Concert. This past Christmas, he gave me 3 coffee mugs with Pete’s unique autograph on the bottoms of each. I cried with joy and it was the best gift I ever received. Feeling blessed! I was just recently blessed when my Husband gave me 3 coffee cups, with Pete’s unique Autographs on each bottom. They became good friends after the Bangladesh Concert. I just cried when I studied them,feeling blessed. His final days may or may not have been bad, but I imagine what he is experiencing now is a tormented Hell. I disagree. He was pushed over the edge. His last days were his hell. Polley good as killed him. the suicides in this band sort of echo backwards through time and into the poignancy of this tune. well fraught for Walt and BB’s fade out. Good send up as always, SorefTV. Does anyone know what became of Dixie Armstrong? That song as the finale song had to be rather shocking to her. Especially if it caused a sudden amount of attention and “celebrity” to her. I like to know what happened to her too. Dixie became a pharmacist in Ohio. it is my understanding dixie armstrong passed a few months back, about the age of 68 or so…. Dixie Armstrong & Pete Ham…Donna & Richie Valens. Too short their relationships. Oh, & the dirt bag who ripped them off… American. Nice, eh? P.S. For the Boomers…who, in ’72, did this group mistakenly pass for? It was thought that this band put together a shadow band…Pete & the boys who could sound (pass) for them when Badfinger toured & did promotions. Also, in this thinking what finger did Badfinger represent. The thinking, it was an ode to the music industry as a whole. Hint on the “real” band…think, The Knickerbockers from 1965 & their song Lies. Those two are 2 of many alot of people thought were someone (who?) else. I get what you’re saying, but comments would make a bit more sense with correct spelling, and proper punctuation. I always wondered what happened to Badfinger and why they were not as popular as the Beatles. They certainly had the talent and many of Pete’s songs remind me of my one true love of my life. Even though she left me I still love her 20 years later to this day! Alot of the songs remind me of her most especially, Baby Blue! I had the pleasure of meeting them May 9th `71, when my band opened for them in East Stroudsburg, PA.They were very nice, especially Pete, very polite and sincere. They sounded great, just like the records, harmonies spot on.I was really saddened when I heard Pete hanged himself, then Tommy. Joey is still touring, and he will be in BB Kings in January. I still have a program from that day, I`m going to see if I can get Joey to sign it. Sincerity and sadness often become partners. Hindsight, being a cruel teacher, shows the decline of happiness which screams foul! The fact that evil things like men and money can steal our icons and friends, demonstrates all that is wrong in life. Pete and Tommy were gentle souls, thus easy marks. Like lambs, they were led and slaughtered by love. We still hold on to them; thus they are immortal. The same love that took them also sustains…rip. Stan Polley will go down in history as destroying a talented group. Polley was a living devil and took the creative energy from all of the members of Badfinger. At least their beautiful music is still loved in the year 2018 and beyond; whereas Stan Polley will always be known for representing the devil. For Pete and Tommy to commit suicide over the shenanigans of Polley, is so tragic and too great a loss. I was told once that most Musician’s are on the edge, and fame and fortunate is hard on those “true on the edge musician’s”. I can see over the course of the years from the time I really started to love music at the age of 5 to now age of 62 how that has been true, we have lost so many great song writers/talented musician’s to their own demons(over the edge), they have troubled minds and souls from the beginning, but write us the most beautiful lyrics from their hearts. I guess over the edge musicians’ keep coming back and making those really great songs. But let me say one more thing, the best ever music that has been created is the new on the edge music that came out in the early rock and roll from the 60’s to late 70″s, wow, did the bands back then make the world stand up and take notice. I am grateful, I lived in the time of the greatest newest rock created and was there to hear it the first time it came out.